​"I would say... BOOK IT! Speaking from experience, all kids and adults at the party give Christopher their undivided attention... It is a TREAT FOR THE HOST! I was so pleased with my 7-year old birthday party that I brought him back this year... and as expected, kids and parents had a BLAST!" TAILOR MADE FOR KIDS. That means they don't simply sit and watch, Every moment is chock-full of audience participation and interaction! ​- STUFFED WITH MEMORY MAKING PICTURE OPPORTUNITIES! In what can only be described as the ULTIMATE KID SHOW MAGICAL KODAK MOMENT, your child even does magic for your guests that Christopher can't. Christopher leaves the stage, and your child truly becomes the star of the show, as she or he makes magic happen all on his or her own- No assistance needed! 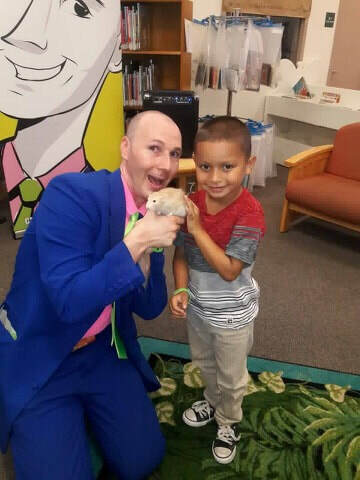 ​After two decades performing for children and family audiences, Christopher knows the secret to making kids sit quietly and watch a magic show. The secret: they don’t! 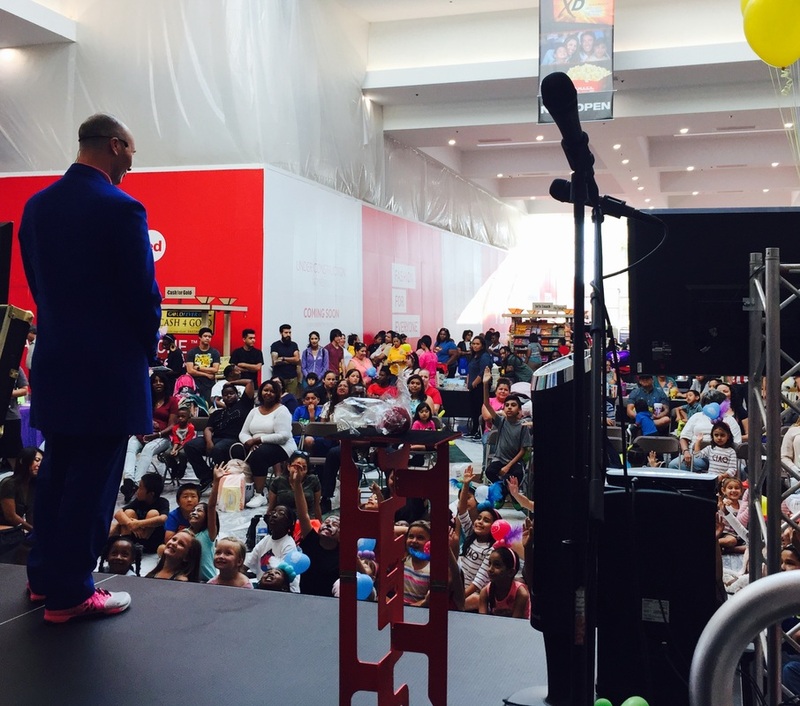 Children love Christopher T. Magician’s magic because his audiences never just sit and watch. His audiences are as much a part of the show as he is, constantly interacting, shouting, helping, and participating. Christopher even lectures all over the world to other kids entertainers, teaching them how to use his methods to be the absolute best performers they can be. His two books and his dvd are best sellers among the magic community, and he is considered by many to be at the very top of his field and the future of children's magic entertainment! Christopher arrives on his scooter for a hilarious, interactive magic show! Your child becomes the star of the show! A personalized birthday card created by magic just for the birthday child! Souvenir Christopher T. Magician wrist bands for all the children in attendance! Twice as much magic and FUN (Double the show length)! Special surprise gift (MONEY!) magically produced for the birthday child! *Must be indoors due to show requirements. Christopher arrives early to set up a professional theatrical show in your indoor venue, including his beautiful curtain backdrop, banners, and sound system! More theatrical of a show, with amplification, sound effects, and music! *Peanut the rat is optional and conditional depending on weather - if peanut is booked and unable to perform a discount will be given. A kid's television show come to life!" If you are reaching out to book me, include the date and time you are requesting and the best way to contact you. Texting is cool with me if that's easier also. Thanks! A review from a happy Mom! "Christopher T entertained 20 kids for a "last day of school party at our home. From our phone conversation to the time he left, I could tell he LOVES what he does. This isn't just another gig... he genuinely wanted to be here! He took time to understand the audience and even cleared a few of his jokes to make sure they'd be ok (i.e. use of a whoopee cushion in his act). I thought that was very thoughtful of him. He arrived on a motorized scooter making for a grand and exciting entrance. What I loved most is that he involved all of the kids who wanted to be involved in his act by asking for volunteers a lot. He was easy to work with, was able to accommodate my last minute booking, was funny, magical, appropriate, had an excellent attitude and gave great effort to entertain the kids, ages 6-13, for an hour. They giggled and had a great time as did the adults who were present. Thank you, Christopher T like Taco :)"
A REVIEW FROM A HAPPY LIBRARIAN! 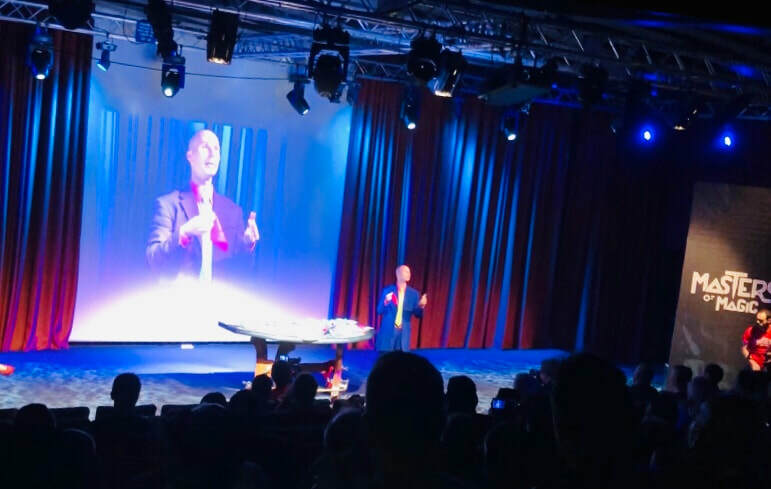 "I was so pleased and impressed with Christopher T. Magician's performance! I'm a children's librarian, and we hosted him this summer as a part of our Summer Reading program. I watched from the back of the room and heard so much laughter and giggling. He does a great job getting the kids to participate, and seems to have a ton of fun himself. I got great feedback from our parents and kids, and he is definitely on our list of guests to invite back in the future. Thanks so much, Christopher!" VIDEOS OF CHRISTOPHER IN ACTION! 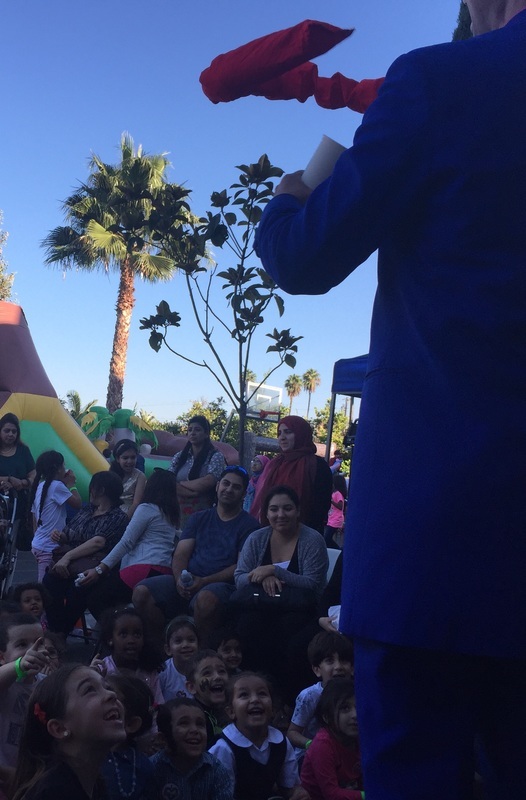 ​Christopher T. Magician is happy to travel to you anywhere in the Los Angeles County area, Orange County, Ventura County, Agoura Hills, Alhambra, Arcadia, Artesia, Avalon, Azusa, Baldwin Park, Bell, Bellflower, Bell Gardens, Beverly Hills, Bradbury, Burbank, Calabasas, Carson, Cerritos, Claremont, Commerce, Compton, Covina, Cudahy, Culver City, Diamond Bar, Downey, Duarte, El Monte, El Segundo, Gardena, Glendale, Glendora, Hawaiian Gardens, Hawthorne, Hermosa Beach, Hidden Hills, Huntington Park, Industry, Inglewood, Irwindale, La Canada Flintridge, La Habra Heights, Lakewood, La Mirada, Lancaster, La Puente, La Verne, Lawndale, Lomita, Long Beach, Los Angeles, Lynwood, Malibu, Manhattan Beach, Maywood, Monrovia, Montebello, Monterey Park, Norwalk, Palmdale, Palos Verdes Estates, Paramount, Pasadena, Pico Rivera, Pomona, Rancho Palos Verdes, Redondo Beach, Rolling Hills, Rolling Hills Estates, Rosemead, San Dimas, San Fernando, San Gabriel, San Marino, Santa Clarita, Santa Fe Springs, Santa Monica, Sierra Madre, Signal Hill, South El Monte, South Gate, South Pasadena, Temple City, Torrance, Vernon, Walnut, West Covina, West Hollywood, Westlake Village, Whittier), Orange County (Aliso Viejo, Anaheim, Brea, Buena Park, Costa Mesa, Cypress, Dana Point, Fountain Valley, Fullerton, Garden Grove, Huntington Beach, Irvine, Laguna Beach, Laguna Hills, Laguna Niguel, Laguna Woods, La Habra, Lake Forest, La Palma, Los Alamitos, Mission Viejo, Newport Beach, Orange, Placentia, Rancho Santa Margarita, San Clemente, San Juan Capistrano, Santa Ana, Seal Beach, Stanton, Tustin, Villa Park, Westminster, Yorba Linda), Ventura County, and all of Los Angeles area and Southern California!